All parents, whether they are married or not, must contribute to the support of their children. This is a law and not something that can be worked around due to an unmarried status or even due to unemployment or other financial difficulties. Child support cannot be enforceable unless a court order is placed for the support. The custodial parent can request that the non-custodial parent be ordered to pay child support. Child support is usually paid until the child is 18. When both parents cannot come to a private agreement on child support, the court will decide for the parents. If the parents can come to agreement to child support without dispute, they will not have to go through the court and can privately come to an agreement. They can simply have a written agreement drafted. If you are going through a divorce in San Diego or California, you’ll find that the quality of life for you and your children will be affected by what the court determines when it comes to child support. However, the court cannot choose an arbitrary number. There are calculations that have to be made to determine who pays and how much. A San Diego family law attorney can be a great advocate in these determinations. In California, child support takes into account each parent’s income, the number of children who are being supported, and the percentage of parenting time the paying parent is assigned in the divorce or paternity judgment. In other words, the person who has the children most of the time will generally pay less or not pay anything whereas the parent who has the children less will be asked to contribute more. Based on who gets primary custody of the children, the court can make a determination as to the right amount to be paid between parents. The preferred method of collecting child support is income withholding. This is when the non-custodial parent has the payment automatically deducted from his or her paycheck. When the situation arises when a parent is not making the child support payment, you may have to enforce child support payments orders. Although incoming withholding is preferred and the common way of collecting child support, there are other methods to collect child support. These methods include garnishing bank accounts; establishing liens against real estate and personal property; intercepting tax refunds, lottery winnings, unemployment funds; and enforcement by court. You can ask your child support lawyer how to establish an order for income withholding. Sometimes when circumstances change for the parents, it may be a valid reason to ask for child support modification. Income change (decrease or increase) is a common reason for initiating a modification. You may ask a family court judge to review your existing order and see if they will modify your child support order. Having a child support lawyer help you bypass the judge and come to an agreement privately is the most favorable. Court systems often provide some free assistance with child support forms, but consulting a lawyer is a much better choice. You want to make sure you and your children receive what is fair and just, and an attorney on your side can help ensure that there is the best possible outcome for your particular case. Learning about what goes into figuring child support payments can better prepare you to work with your divorce attorney, as you’ll have a clearer idea of what the court will be looking for and what it will use as the basis for its decision. There’s more to consider than just the amount of money you’ll get in your child support case, as well. Often, the issue of child support is tied to child custody, spousal support (such as alimony), and family law mediation to work out problems that can be plaguing a couple that is divorcing or splitting up after having children together. They say that numbers don’t lie, but the numbers can be deceiving. In a divorce case the outcome is often based on the skill of your attorney. Before you go to court, there are some things you should be aware of to prepare. Don’t inflate commissions – If you are paid commissions, don’t inflate your earnings potential. It is tempting to let your ex know that you are, or can, do well financially, but inflating these numbers will simply harm you in a child support situation. Gather evidence -If you think that your spouse should be paying more or receiving less child support, you should have a reason for thinking that. Gather whatever evidence you can and bring it with you while meeting your lawyer. As a child support attorney, we need to review whatever you have in order to determine to prepare your case. Your ex is not likely to voluntarily give over information, and if we don’t ask for the right information, we won’t have what we need to build your case. Expenses – Keep track of your expenses as they relate to the children. If you think that you need more child support to cover them, you need to be able to prove this. You also need to explain to the court what has changed to make an increase in child support necessary. 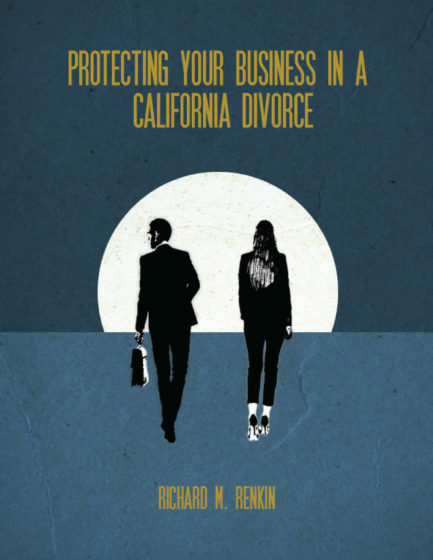 If you are looking for a divorce attorney to help you with your case, San Diego’s Law Office of Renkin & Associates is prepared to provide you with the best possible representation. We understand that divorce litigation often means financial concerns for both parties, and we’ll help you through it, one step at a time, every step of the way. While it is not always an easy process, having the right advocate can make it less stressful and can mean a faster resolution in some cases, so you can get back to enjoying your children and living your life.